The Quality Inn & Suites is a smoke-free hotel located in Federal Way, Washington. Highly rated on Trip Advisor, this hotel is within close proximity of the King County Aquatic Center and Wild Waves Theme Park. The hotel features an indoor pool, fitness center, business center, and a continental breakfast each morning. Each room has a television and free wireless internet. This Federal Way Hotel is pet friendly and supports green efforts to save energy and protect the environment. Why choose Quality Inn & Suites? Quality Inn hotels provides more than the typical affordable hotel. Our ”Value Qs” ensures that you receive more for your money in comparison to rival hotels. Featuring premium bedding, hot breakfast and friendly service, Quality Inn & Suites offers the best value of any affordable hotel. 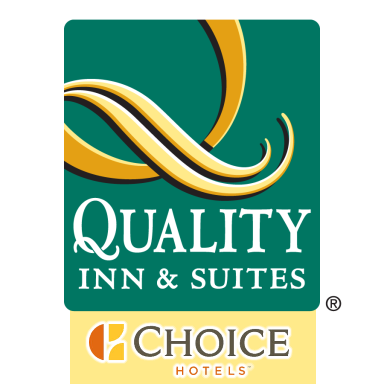 The Quality Inn & Suites is a Choice Hotels International franchise.One of the largest and most successful lodging companies in the world, Choice Hotels currently franchises more than 6,300 hotels world-wide. Choice Hotels range from limited service to full service hotels that provide business and leisure travelers with a range of high-quality, high-value lodging options. We understand that you have several options available when choosing a hotel in the Seattle and Tacoma area. Our staff strives to provide outstanding guest services to accommodate your needs. Whether you are traveling for business or leisure our hotel offers amenities designed to make your stay at the Quality Inn & Suites in Federal Way relaxing and enjoyable. For more information regarding our hotel, please feel free to call us at (253) 835-4141. In order to book a room online, please visit our reservations page.